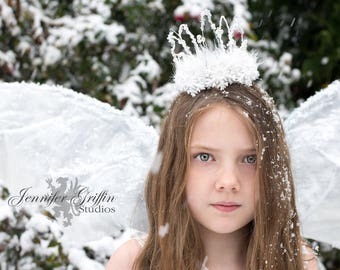 This lovely snow fairy tiara is perfect for all of your winter fairytale needs. 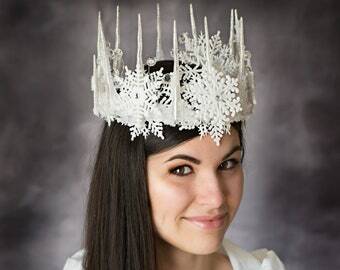 It is perfect for an ice queen crown, a snow queen costume, a winter fairy costume or any fairy costume. 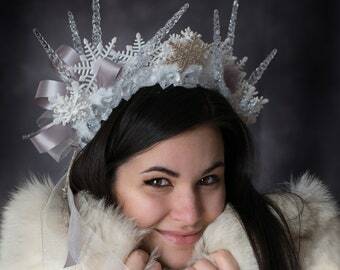 The Icicle Crown would also be an excellent choice for a Winter Wedding Crown, Winter Woodland Crown, a winter solstice hand fasting ceremony or for LARP events. 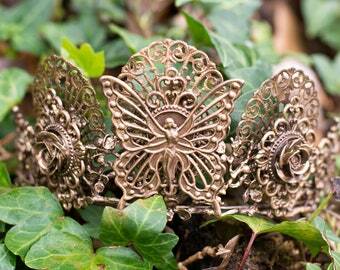 The tiara sits on the head like a head band and fits the average teen or adult head. 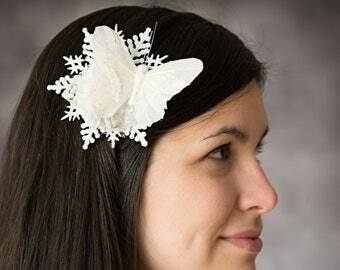 It is lined with white felt for comfortable wear. It measures 6" in height. 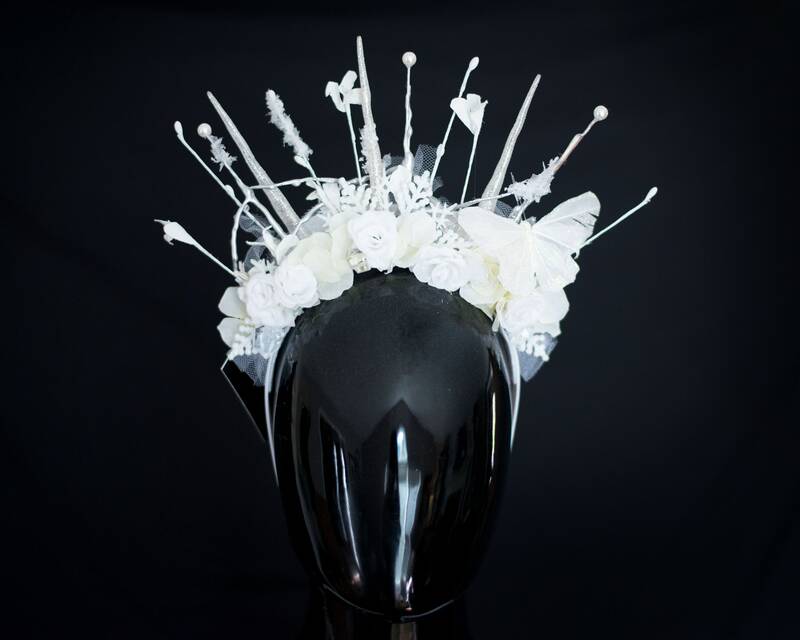 It features various wintery embellishments such as white silk roses, acrylic icicles, German glass glitter, silver spikes, white tulle and a stunning white butterfly.